The Turkeys were back again today. I guess they are regulars now. It's only a small part of the flock that seems to come over here. There are four or five very large Toms, some hens, and a bunch of these youngsters. Maybe 30-35 in all. Only four or five of the youngsters seem to come. After the turkeys left, I happened to look out the window, and saw this little guy. At first, from a distance, I thought it was a mouse, but then realized it is a mole. I walked outside, and got within about 24 inches of him, and as long as I was still, he would continue eating. Their eyesight is very poor, but he would feel the vibrations of me walking and would freeze. When I stopped moving, he would resume eating. So, here is Mr. Mole.. look at that beautiful thick fur. And cute little mole snout, squinty eyes, and pink feet. I didn't know that moles would eat sunflower seeds. I learned something new! Being mostly vegan, we eat alot of vegetables. And while the chickens will eat many of the vegetable scraps, some things they dont really like, and these get tossed on the compost pile. Then I read of using these scraps to make broth. Seemed like a great idea, as what is left after cooking still goes to the compost, and you end up with useful flavorful broth for adding to recipes. Nothing is wasted. So i just take the scraps, peels, end pieces, etc. of things like onions, garlic, carrots, peppers, celery, and put them in a ziplock bag in the freezer. When i have a full bag, i cook them. Add a little salt and a bay leaf, and cover with water and cook. When its done, i pour off the broth into a container, amd then dump the mushy veggie pieces that are left into a strainer, and squeeze any last bit of broth out of them. 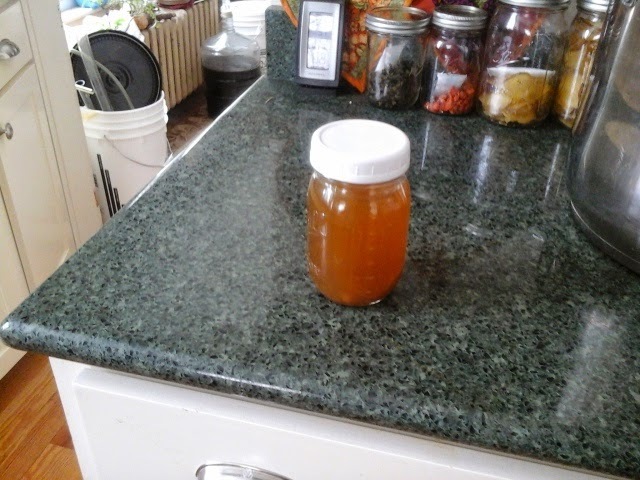 The pulp thats left goes into compost, and the broth I freeze in jars. Next time I cook rice, use broth instead of plain water. Or add to soups, stews, casseroles, for extra flavor. 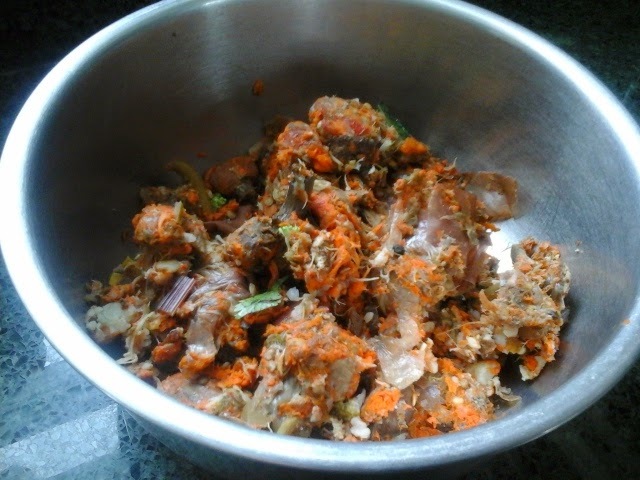 The remaining pulp that is left after squeezing every bit of goodness out of it. A jar of broth before it goes into the freezer. Leave about an inch of headspace in the jar for expansion when it freezes. 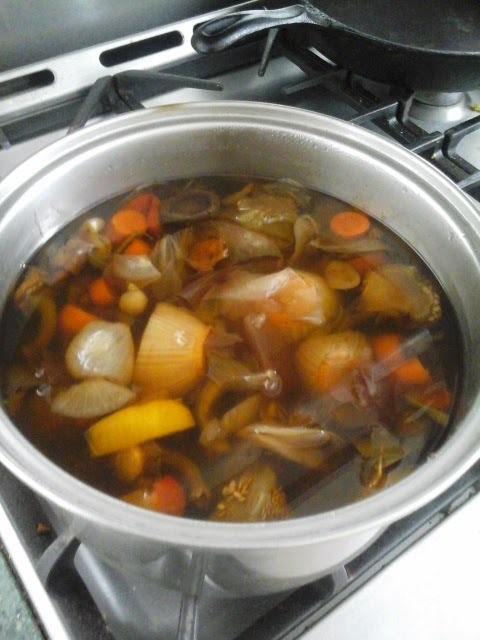 From one gallon ziplock full of scraps I get about 6 pints of broth. Today, I experimented with waxing some cheese. Waxing just involves taking a hard cheese and coating it with a few layers of a wax especially made for this. 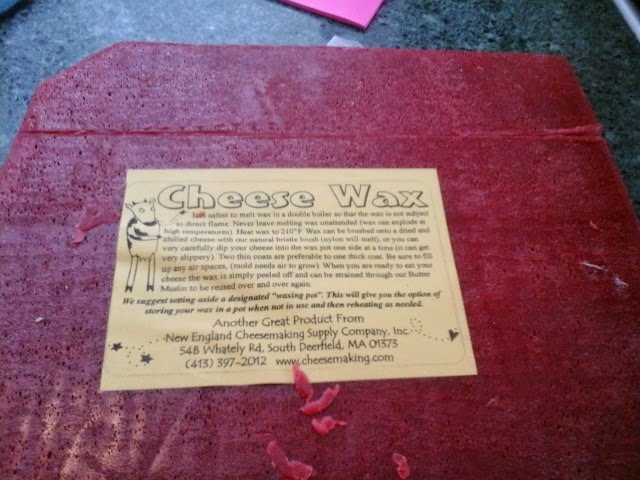 The wax prevents any air from touching the cheese, and thus keeps out mold or bacteria. This is the traditional way to keep large cheeses. When you buy an aged cheddar, how do you think they age it? Preserved this way, cheese can last a long, long time if kept in a cool, dark environment. Like, years, baby. The cellar, which stays around 40 degrees in the back corner, is perfect. So today, I took some store bought cheese and decided to apply this principle. I will check on this cheese in a few months to see how it is doing, and if I did things correctly. I picked a mild colby, because, since cheese is a living food, it will continue to age. Maybe it will age into a nice sharp cheddar. 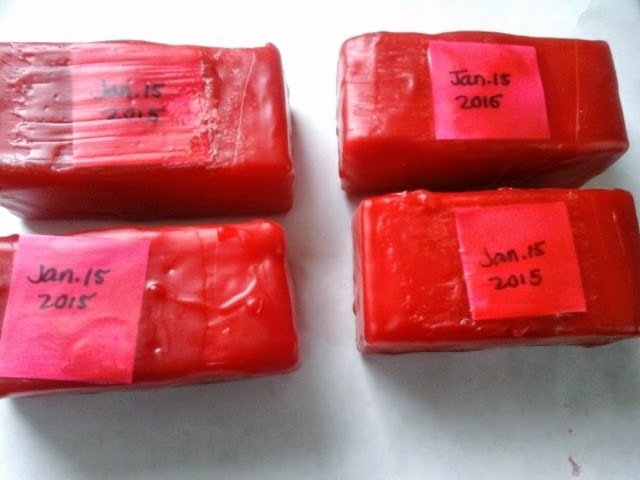 The block of cheese wax. I melted it in a double boiler. Actually, its just a cheap used pot I got at the second hand store specifically for melting wax. 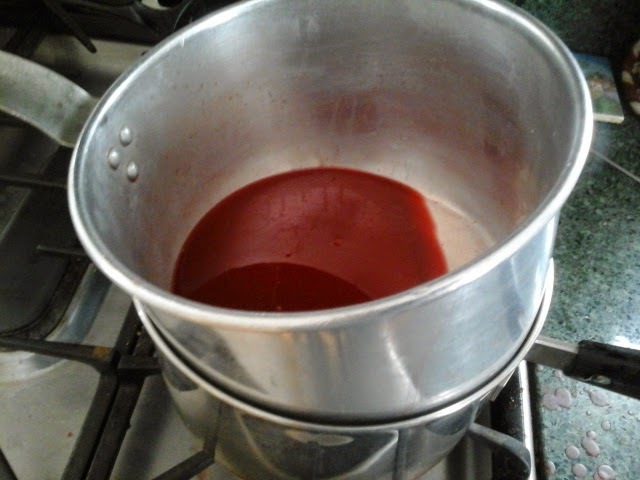 The wax can live in this pot after it hardens again, until i need it. 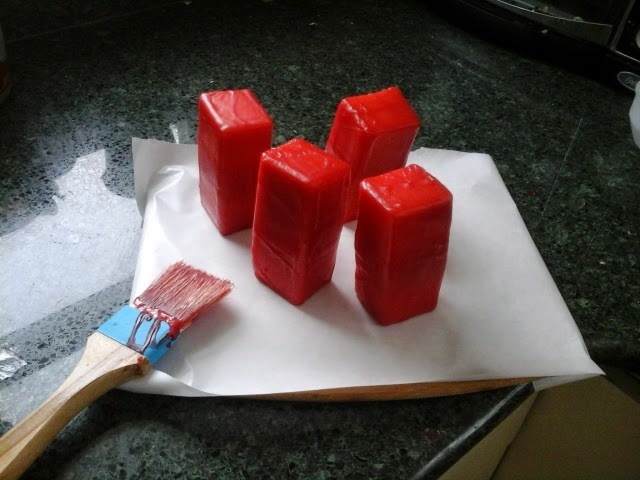 I bought a big block of colby, cut it into four pieces and coated each with 3 layers of wax. The natural bristle brush is used to brush on a thin layer of melted wax. Do half, let cool, turn over, do the other half, and repeat for 3 layers. Easy schmeasy. You could also just dip each piece instead of brushing. Check back in 3 months when I open the first one to see how its doing. Weather today:a warm 22 this morning! Wildlife: That adorable Mr. Mole. Training:a 4 mile road run. My legs felt dead for the first mile, but then felt better. It was a nice run. The Lord indeed gives what is good and our land will yield its harvest.